We all do. tremulus lets you and your friends make terrifying stories together. No experience necessary. And dice? You only need a pair of regular old six-sided dice, like you find in most family board games. If you've never played any roleplaying games in the past, then this is a great game to start with. "tremulus looks creepy and intense. It's the kind of thing you think you want to avoid at all costs, but instead can't help but be drawn toward..."
Jason Morningstar will be collaborating with us on The Frozen Wasteland (already unlocked) and Ken Hite shall join us as we make our way Into Innsmouth (Stretch Goal X)! What if I Know Nothing About Lovecraft? "Sean Preston wrote a game that reflects the horror play style I've always had to shoehorn into existing systems. tremulus takes you from zero to full immersion in mere minutes, and its narrative unfolds like a story penned by Lovecraft himself." -Ron Blessing, Co-host of RoleplayDNA and Smiling Jack's Bar & Grill (and the much missed The Game's the Thing…let's bring this back). "Deceptively simple, never dull, tremulus is not for the faint of heart but the inquisitive soul. It makes it dead easy — frighteningly fun, even — to tell stories to scare the hell out of yourself." 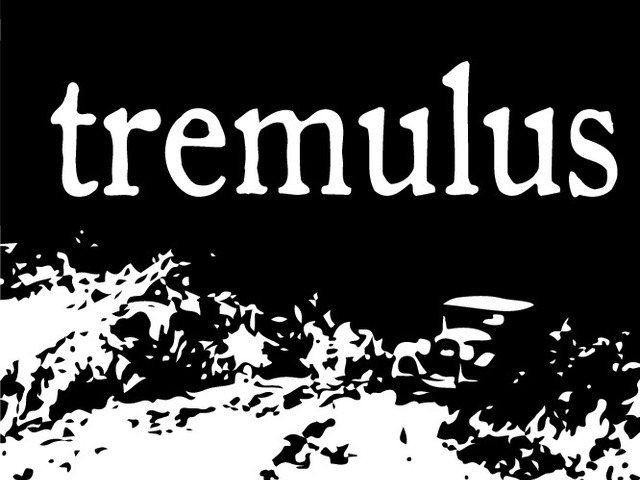 "tremulus takes classic Lovecraftian gaming and combines it with the growling, dangerous engine of Apocalypse World. The playbooks have all the flavor you want and everything you need to play on a single double sided sheet. Every decision that sends poor Dr. Meridian on the spiral of lost sanity and health is in the hands of the players. Perfect for a spooky one-shot, a campaign built through play or something to get jaded fans of Cthulhu Mythos roleplaying excited again." When some folks think of storytelling games, they think of games without a central game master or dice or task resolution system. This is not always the case. There are a wide variety of storytelling games. tremulus has a game master called the Keeper, and each player has a character (as defined by their playbook). Rolls determine success, partial success, or failure of their actions (called moves). Wanna surround yourself with wordnoise about tremulus? Check out RWR: Episode 1: The tremulus Edition! "tremulus is one of those rare games where things can go horribly, horribly awry, and you love it all the more." You'll find it remarkably easy to get going. In fact, if you use the playset found in the book (the town of Ebon Eaves), you don't have to do any prep whatsoever. "tremulus is probably among the most entertaining and unique games I ever played. If you are interested in Lovecraftian horror this is definitely the game for you. While other games are fun as well, tremulus is the only Cthulhu roleplaying game I know that allows the Keeper to run a game with no prep at all. I can't wait to hold the final copy in my hands!" tremulus is going to be offered in a digest-sized PDF (perfect for tablets), black and white softcover (digest-sized), and black and white hardcover (digest- sized). It's unlikely we'll introduce hardcover versions of tremulus into general distribution any time soon. Even if we do, your book will be part of the first print run, and signed and numbered (and no one can ever take that away from you)! With horror games, small groups are usually better, but too small and they don't work at all. tremulus handles a broad number of players effortlessly. During the playtesting of the game, it was discovered that tremulus not only plays well, it plays exceedingly well, with just one player, This complements weird literature perfectly, as there is often only a central, solitary protagonist. As with any game, more than five players can be a bit much, and can actually detract from the atmosphere of the story. For group play, the sweet spot seems to be three or four players. Why Does It Work Well with Small Groups? Choosing the type of character you want to play is integral to the roleplaying experience. In tremulus, you have eleven classic characters to choose from in the core book (and, with your help, we'll be able to offer many, many more). Each of these choices has an attendant playbook, which is all each player needs to play the game. There is a brief background, choices of name, looks, and so on, and places to keep track of attributes. Everything you need as a player will be included on a tailored, printable playbook. There is niche protection, as no two players may use the same playbook, and when death or madness occurs, you can just get a new playbook and jump back in. What Playbooks Are Found in tremulus? There are eleven classic archetypes: The Alienist, The Antiquarian, The Author, The Devout, The Detective, The Dilettante, The Doctor, The Heir, The Journalist, The Professor, and The Salesman. More are found in the themed sets of playbooks offered as stretch goals! Ebon Eaves: Get a glimpse at the core playset questions! The Shirt: Show everyone your dark side! The Dice: Click here to check them out! There are four styles of play in tremulus, ranging from black to white. Black means you have no opportunity to prevent yourself from losing your mind or losing your life by willingly taking a mental disorder or physical debility (as you may do with the White variants). Note: White in a Lovecraftian universe means something a little less pristine than we're used to here in our safe, horror-free world. The beauty of tremulus is the story isn't written beforehand. The Keeper may create a framework which raises questions. However, the Keeper should be in the dark as much as the players. This unknown quantity keeps the tension and drama high, as how events play out are left to character choice and the luck of the dice. In addition to the book containing everything you need to play and run the game and create your own stories, we've gone one step beyond by giving you the playset of Ebon Eaves, a creepy little town to call your own. Ebon Eaves is generated on the fly by asking your players two sets of questions after they select their characters. Their answers loosely define the local color and the town's strange lore, making Ebon Eaves an ideal place to start your story. How Far Along is tremulus? This is a completely new space for us. While we've developed quite a reputation and catalog of products in the main for Savage Worlds, this is taking us into entirely new territory and, honestly, we don't know what to expect. All of the responses to our playtests have been overwhelmingly positive, and we know you're going to love it. Tell your friends. Tell everyone. What's with the Small 't' in tremulus?